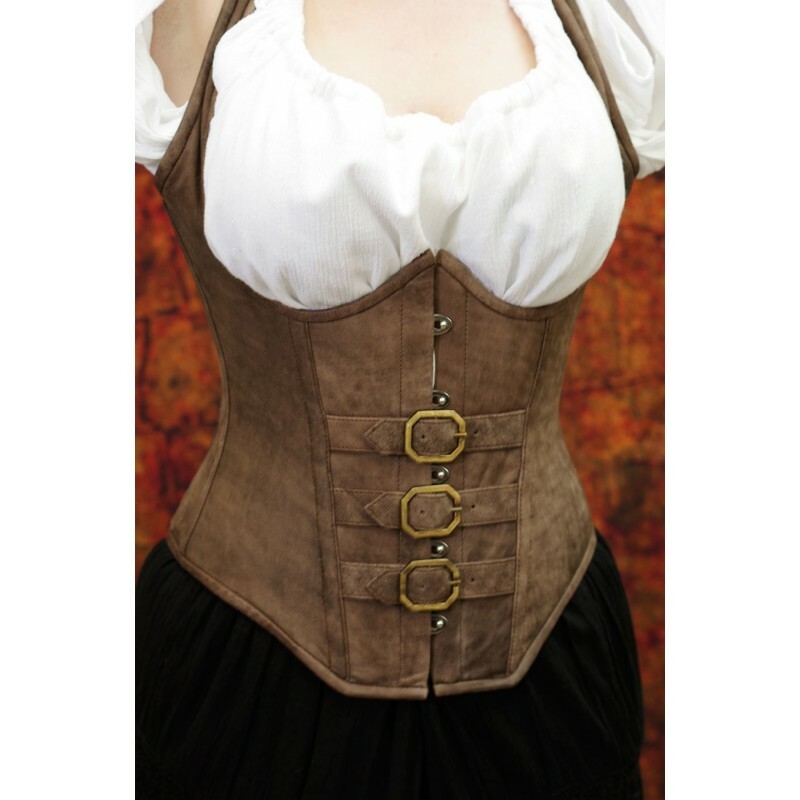 A supple and shape enhansing corset made from lambskin. 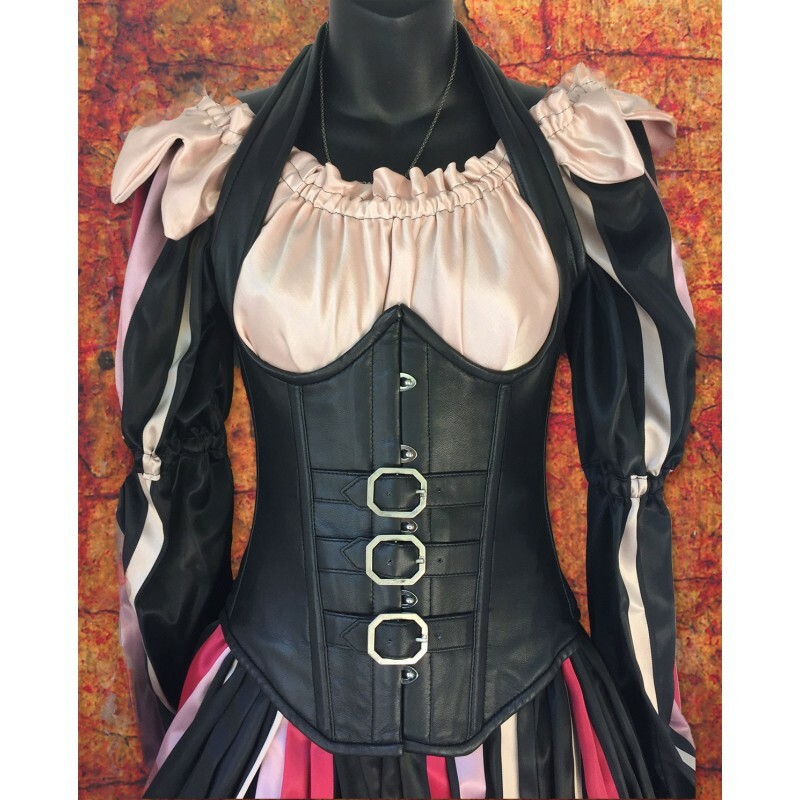 Perfect for renaissance or steampunk. 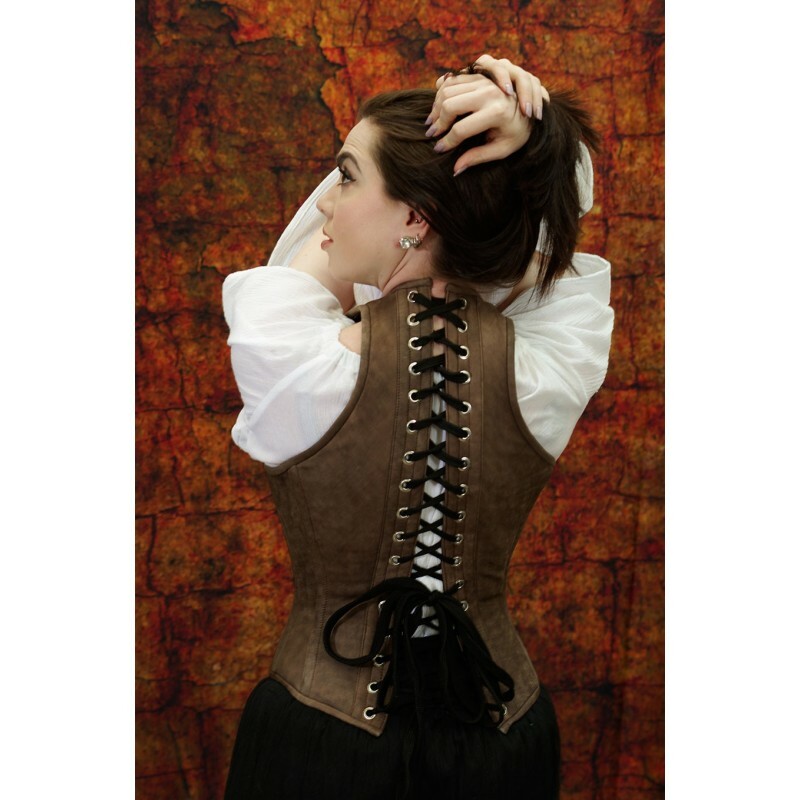 Black corset comes with silver buckles. 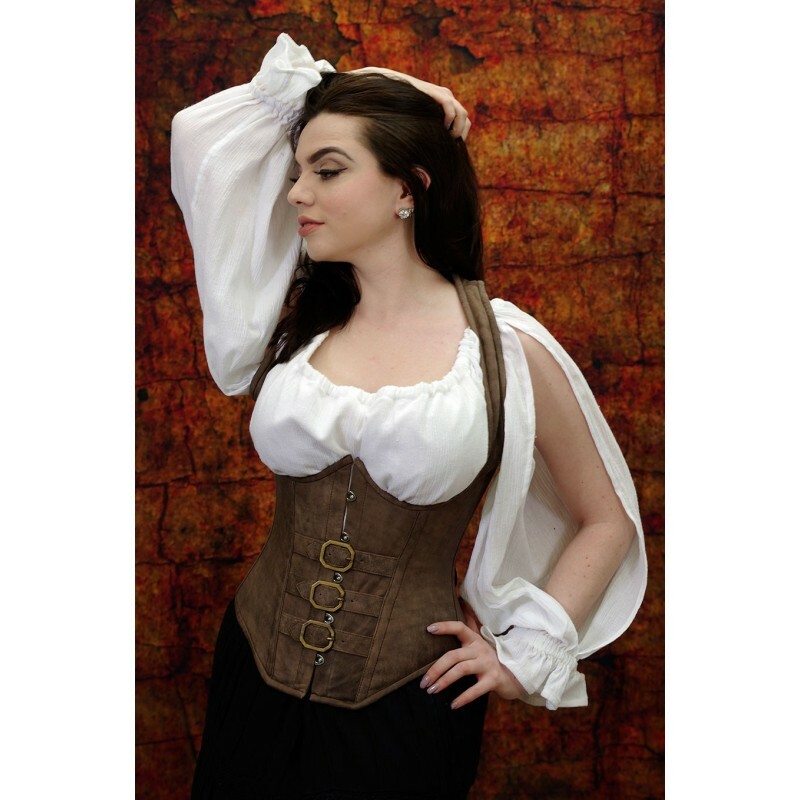 Buff brown corset comes with Antique brass colored buckles.